Posted by Jonathan Bird on Thursday, September 03, 2015. 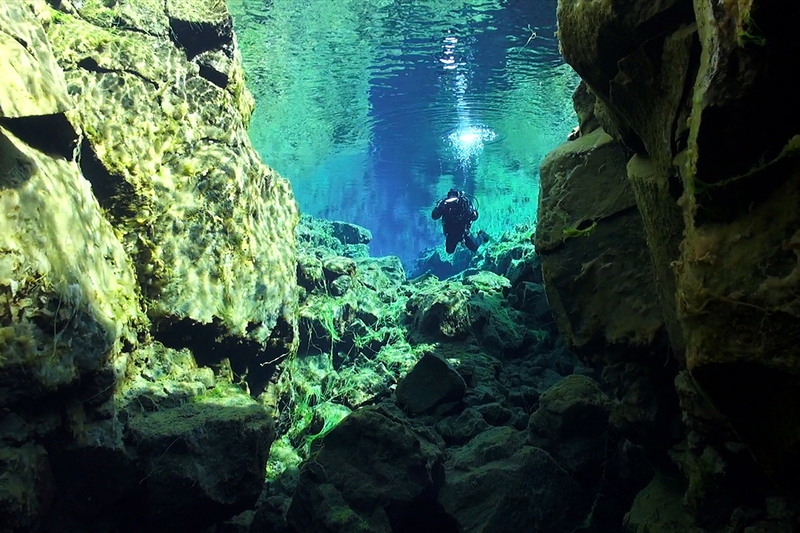 Iceland may not sound like the kind of place one goes for scuba diving, but in fact Iceland has some rather interesting--if chilly--diving. 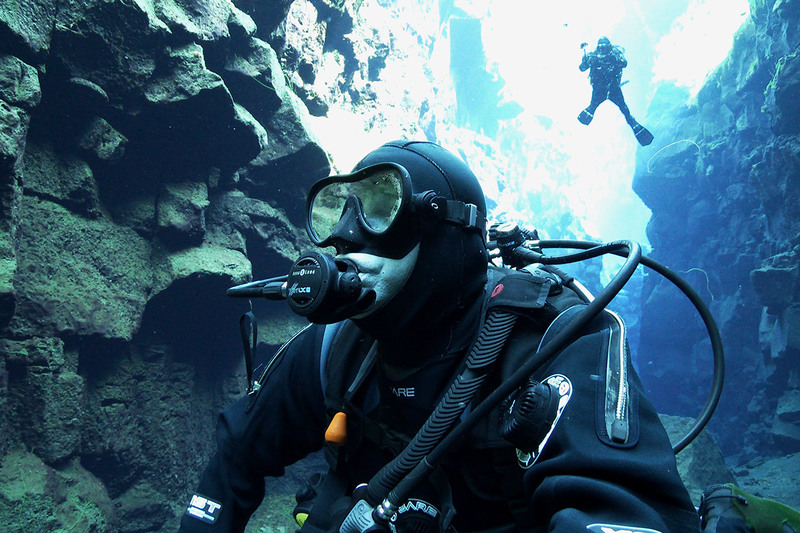 Local dive shops boast that one of their dive sites has some of the clearest water in the world. 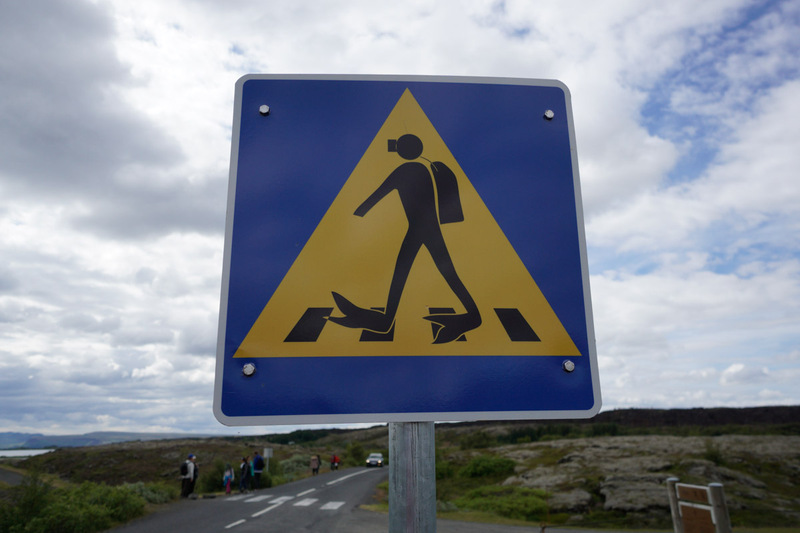 The place is called Silfra (pronounced Sil-vruh with the f sounding more like a v). 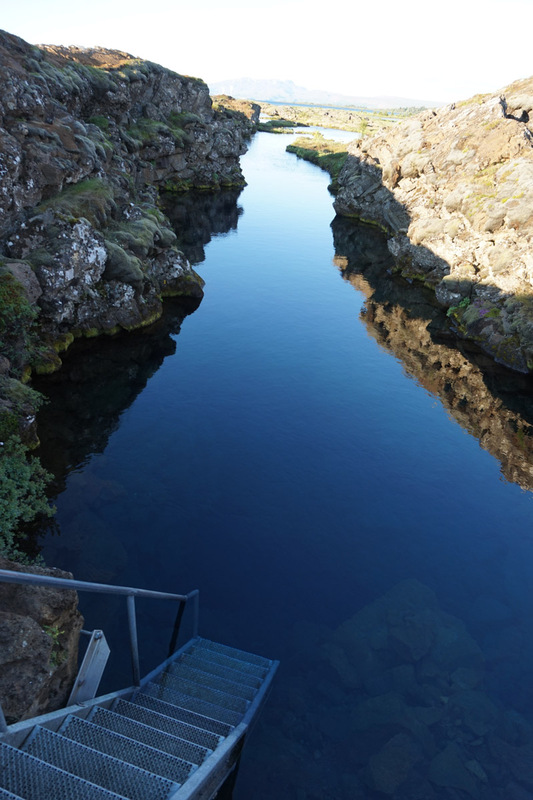 It's a crack in the ground which is actually part of the mid-Atlantic ridge where the north American and the European tectonic plates meet. 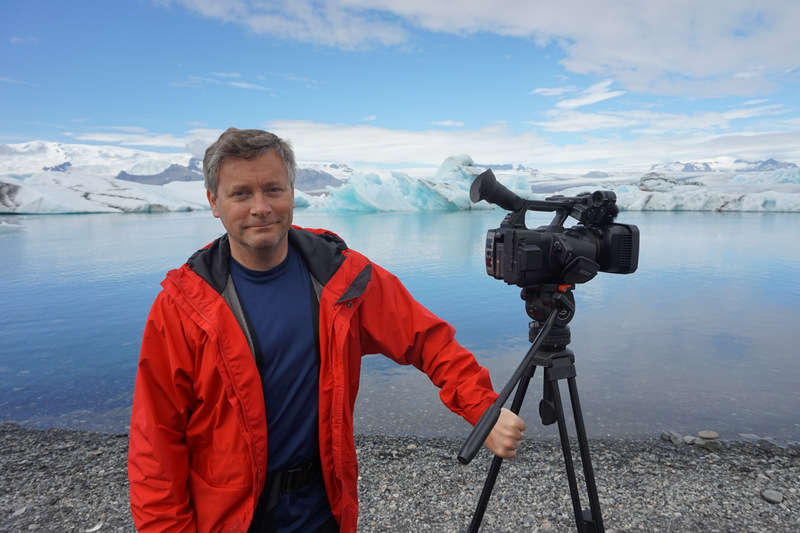 Iceland was formed by a volcanic hot spot on this ridge in the same way Hawaii was formed. The crack between the two tectonic plates runs right through Iceland. 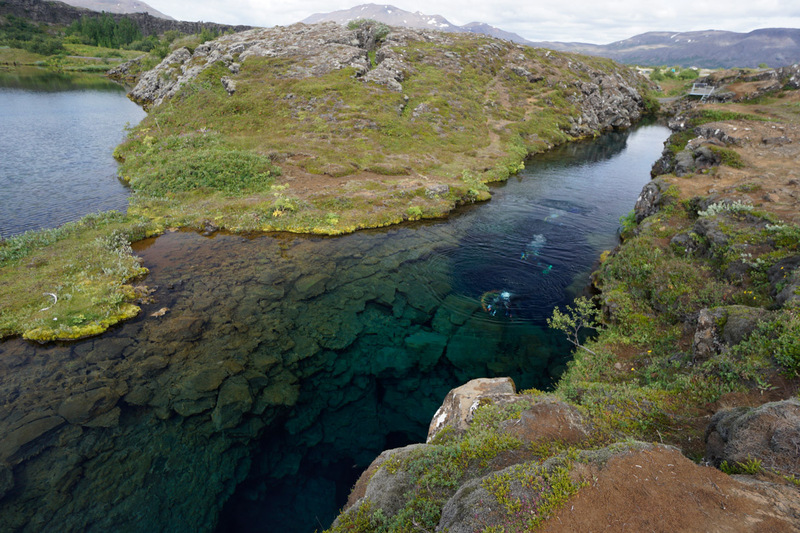 At Silfra, the crack has filled with spring water that originates in glaciers. So, it's cold (36°F) and clear. They claim it has 100m (330 foot!) visibility! 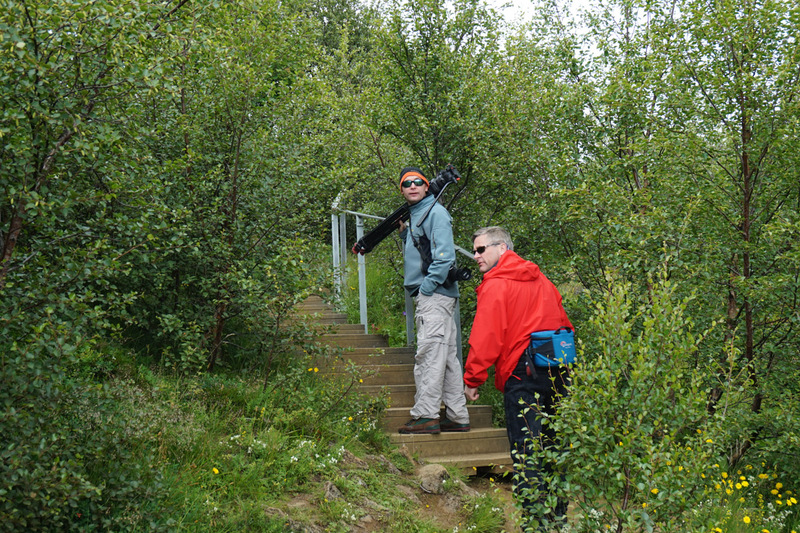 Christine, Cameraman Todd and I flew up to Iceland (only a 5 hour flight from Boston) to check it out. What we found was water every bit as clear, and as cold, as we were told. We dove with divemaster Jose Soroa from dive.is who took us on two long dives that enabled us to thoroughly freeze our toes off!! 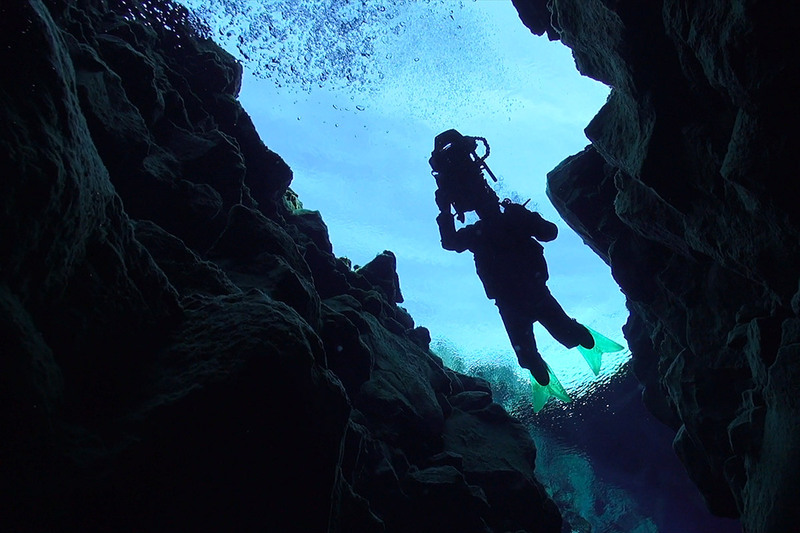 The dive itself doesn't have much to see. There were a few tiny fish the size of a pinky and some algae. But for the most part, it's just rocks and really clear water. It's also clean water--I took an underwater gulp because it's completely safe to drink. I can't say I have done that on too many dives! Our expedition to Silfra will make a wonderful segment in season 5 and you can expect to see it on our website/YouTube in late 2015 and on TV when the next season is released in 2016. 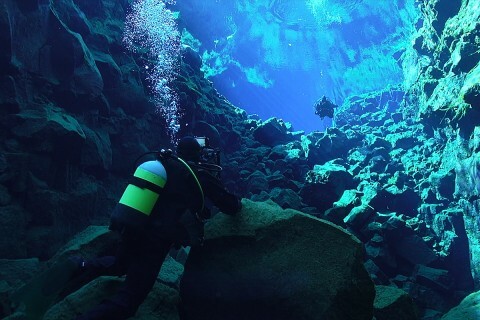 Photo Gallery: Diving in Iceland!